Like most Americans, I am aware that government – local, state and federal — is generally woefully ineffective. In fact, it can make even the biggest behemoth of a company seem efficient and a streamlined by comparison. I need not rely on reports of sequestration or budget battles to prove this point. 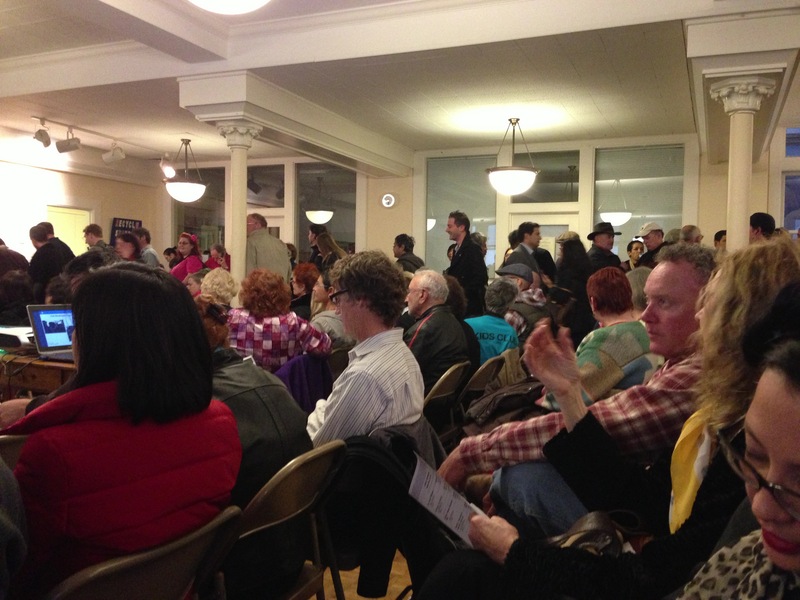 Rather… behold this week’s Middle Polk Neighborhood Association meeting (my first ever), devoted to a controversial proposed plan by the San Francisco Municipal Transportation Agency (SFMTA) to replace 20 blocks of metered parking on my street with bike lanes. Polk Street is home to a diverse community of yuppies, young families and the elderly. Aside from a couple of coffee chains, the businesses are diverse too – and strictly Mom & Pop. What would their customers do without metered street parking for more than one mile? How far could anyone be expected to lug a 25-pound bag of dog food from Bow Wow Meow pet grooming, or a hefty piece of art from Frame-O-Rama? Stores all over the neighborhood have been displaying posters in their windows for months, so the meeting was mobbed, and local news crews were on hand to record it all. While a few members of the San Francisco Bicycle Coalition were in attendance, the majority of attendees were flatly against the bike lane plan. A friend warned me that neighborhood meetings can bring the meanies and the crazies out of the woodwork, and she had a point. A few folks booed speakers from the Bicycle Coalition at the top of their lungs, while one resident who was in favor of the bike lanes thoroughly patronized us all in response. She told us we were being hysterical, because an absence of parking would have no impact on businesses. She knew this because she “used to be an architect”. Yeah OK, now can we get back to the topic of parking? The biggest surprise wasn’t the colorful Middle Polk neighborhood characters, though; it was SFMTA Director Ed Reiskin who was also utterly unprepared for the conversation. Reiskin showed up with a few PowerPoint slides featuring photos of happy bike riders, and pedestrians carrying shopping bags in front of Polk Street stores. He mentioned four plans that the SFMTA was considering to help make a great street “even better”, but said he didn’t want to get into details of each plan. An attendee asked him if he could at least talk about the two plans that had the biggest and smallest impact on parking. Could he estimate the number of parking places that would be lost under each scenario? Remarkably, he could not and the crowd was not impressed. Mr. Reiskin seems like a nice man, and he was brave to show up to the hostile meeting. So I’d like to give him the benefit of the doubt. It’s possible he only found out about the event at the last minute, and had no time to prepare. But, how could someone come to a meeting to discuss such a controversial recommendation, unable to offer details or answer any questions? I kept picturing what would happen at my corporate office if I took this tack. I’d quickly find myself among the unemployed. On the upside, the nearly 400 local activists who attended the meeting had a victory of sorts; the SFMTA has agreed to return to the drawing board to develop a solution that will encourage safe biking without drastic negative impacts to parking on Polk Street. Let’s hope that when the next Middle Polk Neighborhood Association meeting is held, the plan will be more thoughtful and proponents will come better prepared to discuss it. Until then, power to the people!